A Viola Sings Of Strength In Sadness : Deceptive Cadence In this video premiere, Jonah Sirota's viola parts orbit one another restlessly, fueled by improvisation, melancholy and a vibrating set of austere images. Remnant, built on evolving layers of viola, draws its title from the technique composer and producer Valgeir Sigur∂sson follows to assemble the music. He began with a basic track of digital sounds and recorded violist Jonah Sirota improvising over it several times. Then Sigur∂sson — whose studio work includes collaborations with Björk, Sigur Rós and Nico Muhly — removed the initial guide track. That left only the beautiful, intricate shell of Sirota's viola sounds, which the composer arranged for the final piece. The remaining viola parts orbit one another restlessly. Jarring harmonies, plucked passages and washes of high notes emerge and recede. 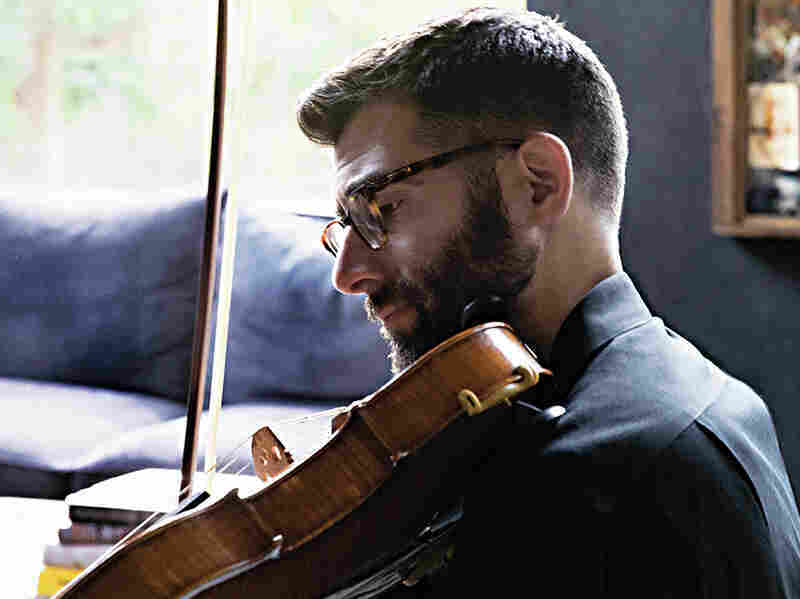 Violist Jonah Sirota's debut album is STRONG SAD.